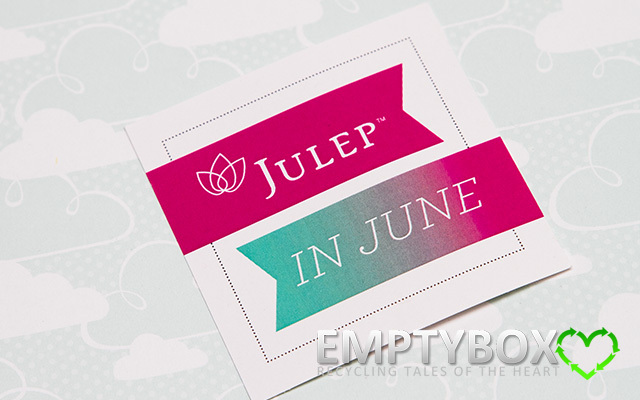 First up for the month of June is Julep as usual! 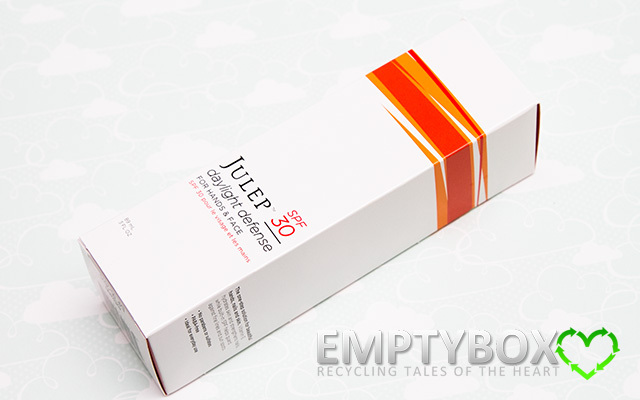 My Julep June 2012 Box (Classic with a Twist) came in the standard black square cardboard box with the Julep Maven brand on the side. 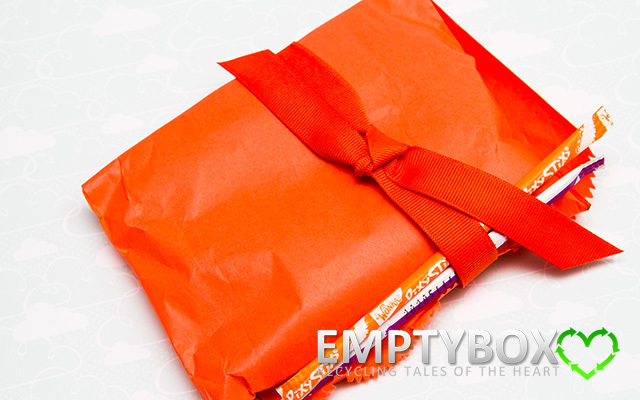 I suppose that the orange colour theme for the month of June comes from the idea of having fun in the sun and being bold and bright. 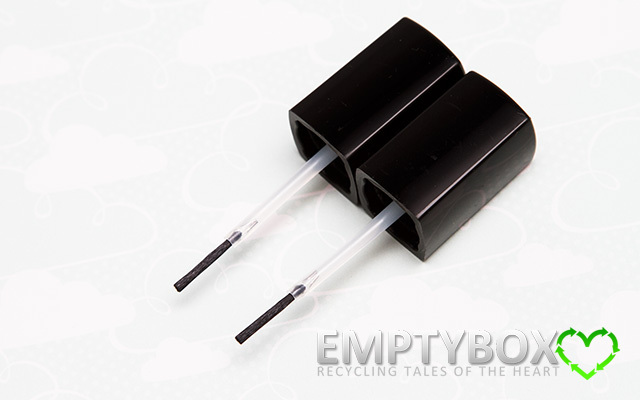 While the products themselves are exciting on it's own, I do like the added surprise of what kind of packaging they'd come in. 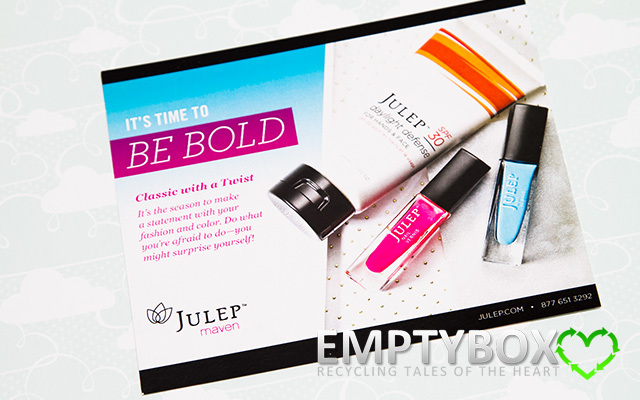 Julep is just so fun and creative! 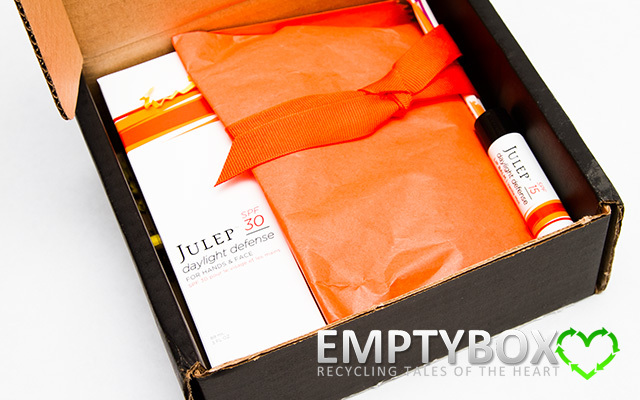 The Julep June 2012 box is done. 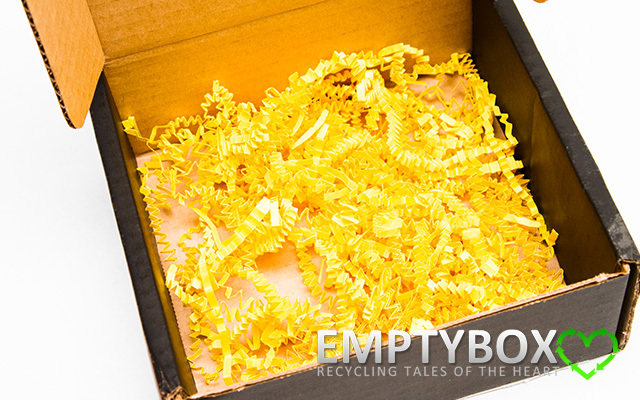 After emptying the box of its contents, we see that everything was lying on a bed of yellow crinkled paper strips which totally suits the summer theme that Julep has going on for this box! 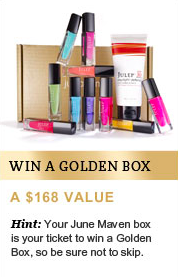 I really like that in addition to monthly Julep Maven boxes, Julep normally has other promotions available, such as the Add On promotion. 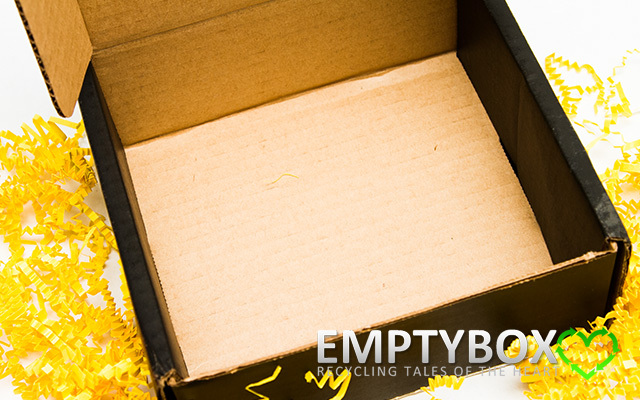 I find that it keeps things interesting and gives more options to those who wants more or just something specific. 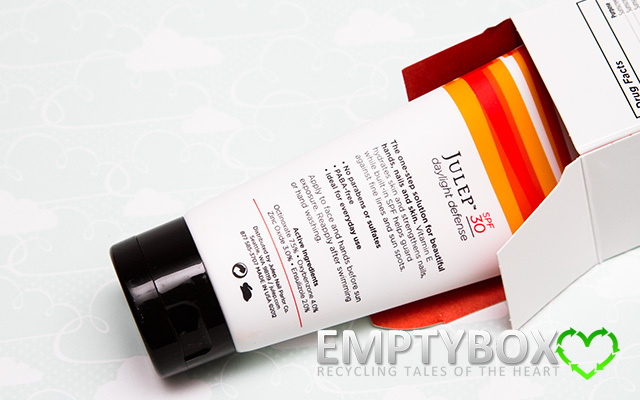 Of course, the Julep $0.01 promotion is still ongoing. 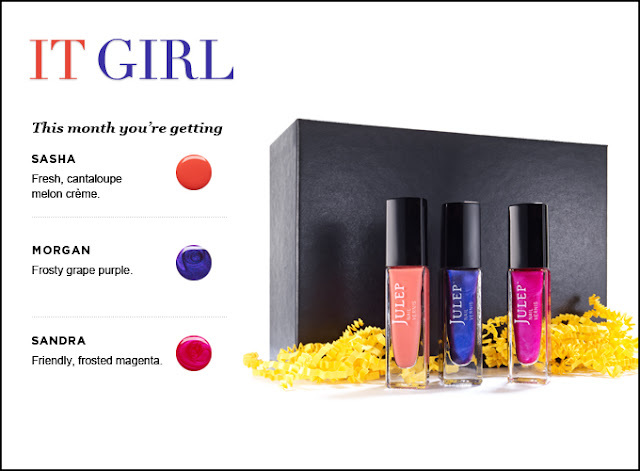 If you want to give Julep a try, this promotion is the best way to get a feel for it. How the promotion works is that you can receive your first Julep introductory box, all for a single PENNY. After that, you can choose to continue Julep like a monthly magazine subscription which gets delivered every month for $19.99/month. Or, you have the option to cancel after the first box. 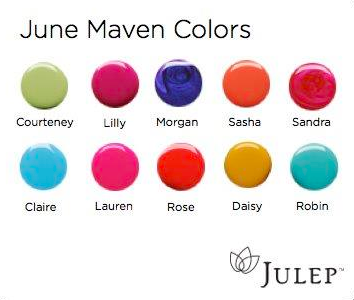 As well, the great thing about Julep is the options. You don't have to purchase it every month. 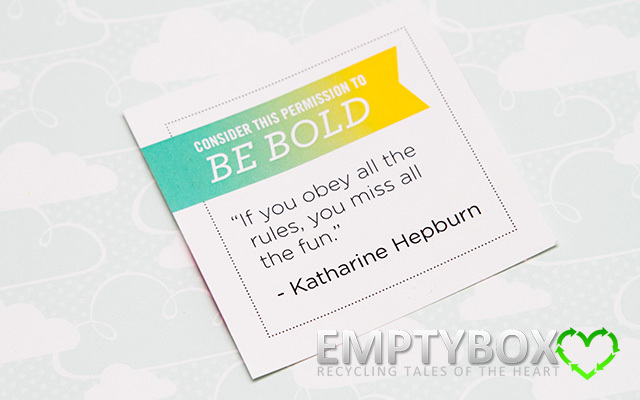 It's a renewal and every month you have the 3 choices of: Skip the Month, Try a New Style, or Send to a Friend. The promo codes for the Penny Promotion are JUNEINTRO, COLORS4ONE, COLOR2012, SHAREONMAY, or PENNY. While they are all different codes, they all produce the same end results. 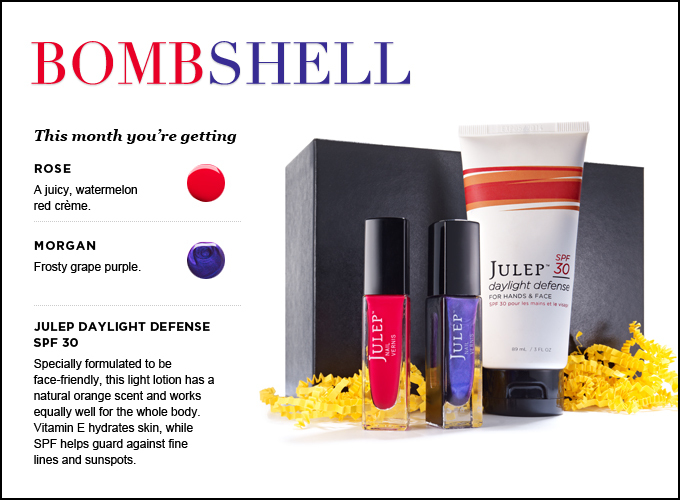 If you do decide to try Julep out, it would be so kind of you to consider using my referral link,http://www.julep.com/?r=19514457 where this would give me the opportunity to earn a free subscription. Thanks in advance! 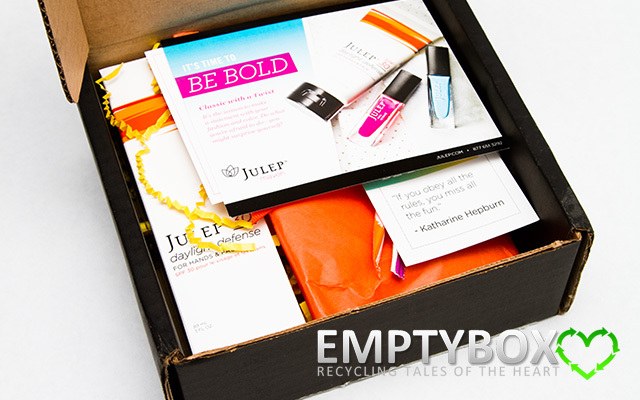 This June box from Julep has all the essentials to prepare for summer. 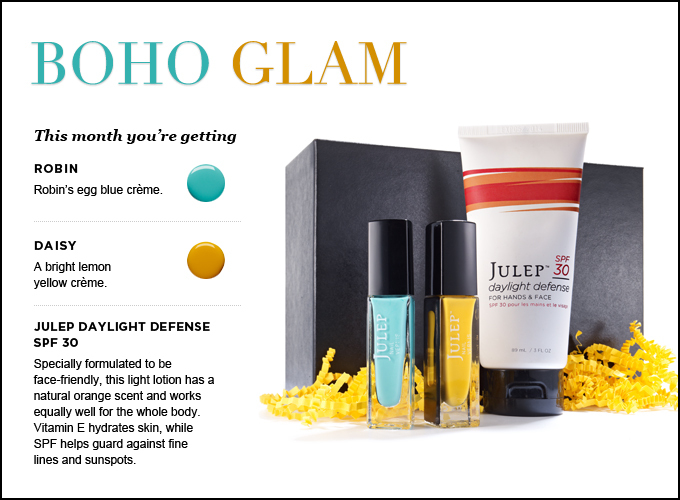 The Daylight Defense SPF 30 is a great size and totally useful for keeping the skin safe from the sun. 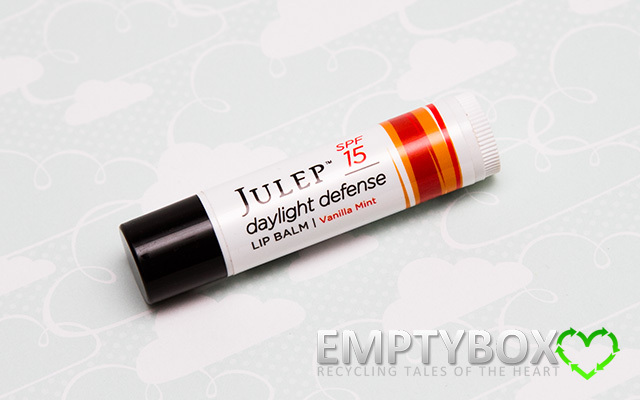 I love the bonus Daylight Defense SPF 15 Lip Balm that they had included. 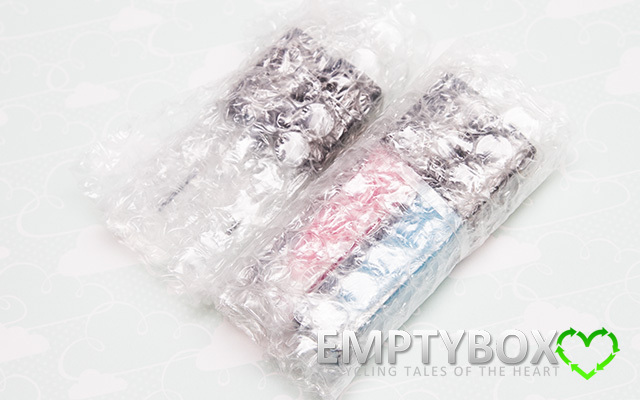 I really do love lip balms, even though I have a tendency to lose them. 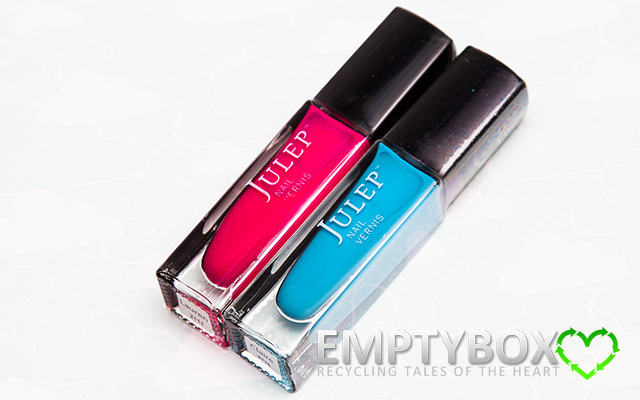 This Julep one is great since it's quite unisex in packaging so if I were to be so kind as to share with Connor, he'd probably like it. 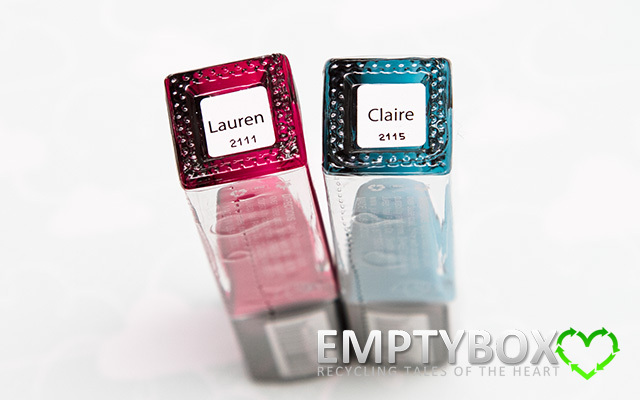 As well, what could be a better way to say summer than the bright and cheerful nail colours included in the June boxes? 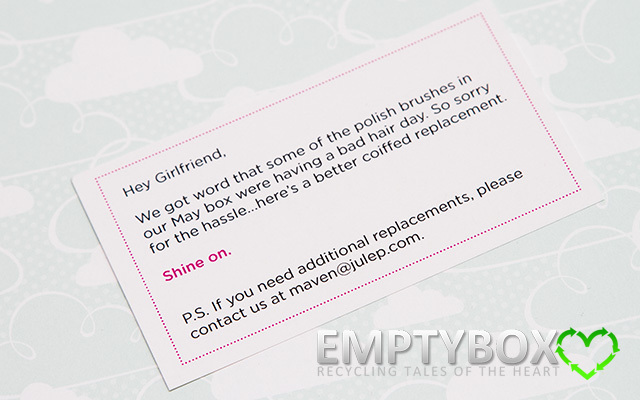 Julep's customer service is just plain AWESOME. 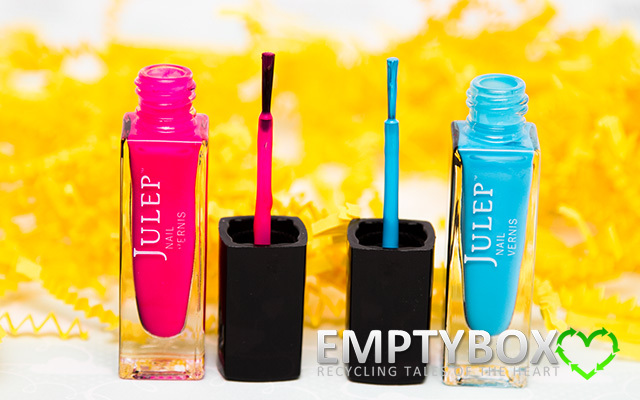 Although I had already emailed them prior to the June boxes being sent out in regards to the wonky brush issues that happened in last month's Julep May 2012 boxes (which they had shipped out with no problems as you can see from the nail brush replacements that I had received), it's really great to see that Julep had just included extra replacement brushes in all June Julep Maven boxes so that everyone received the same treatment and benefit of the doubt, that way people who hadn't contacted them aren't penalized.